We love everything about this watch. 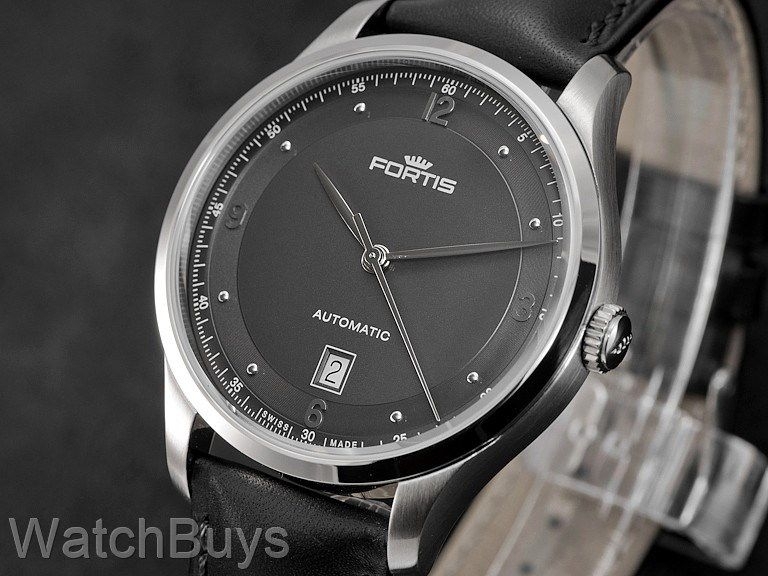 By combining the best of modern watchmaking with classic design elements the Fortis Terrestis Tycoon Date PM offers an elegant and understated timepiece that is formal yet casual - the perfect combination for everyday wear. Housed beneath a domed sapphire crystal is a beautifully structured anthracite dial accented by applied Arabic numerals and indices plated in rhodium for added depth and dimension. 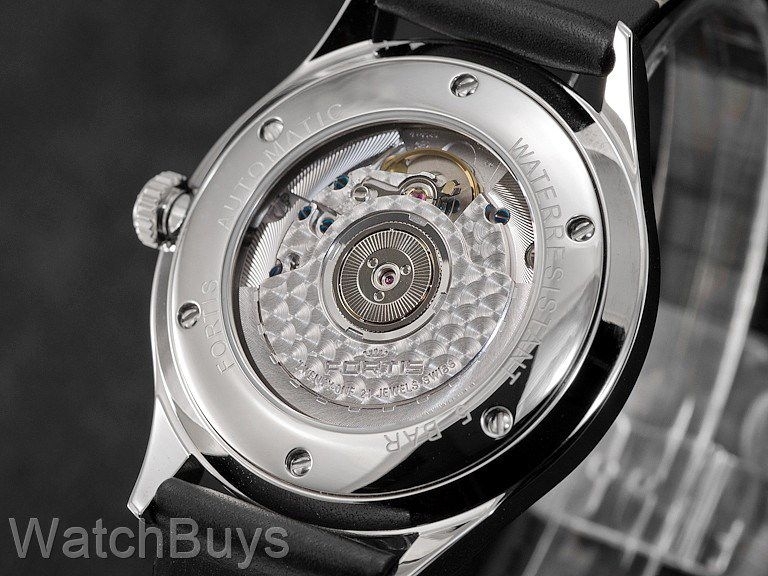 Complementing the numerals and indices, all three watch hands are also rhodium plated. The eye catching ring around the perimeter of the dial adds depth, and this watch features a date you can actually read at 6. 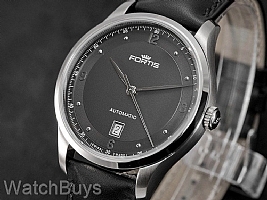 The Fortis Terrestis Tycoon Date PM features a handsome case design - the bezel is highly polished while the case itself is brushed. We also love the highly decorated movement with elaborate use of perlage on both the rotor and plates, as well as intricate ribbing along the movement's outer edge. This watch is fitted with a Fortis black calf leather strap with matching stitching and Fortis steel tang buckle.